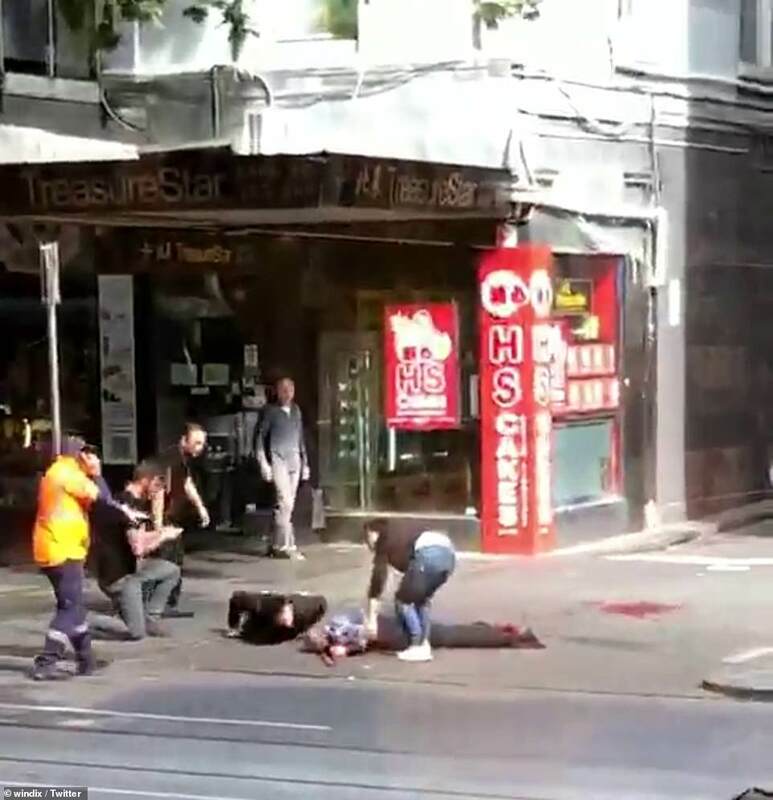 A knife-wielding attacker killed one person and injured two others in a rush hour stabbing rampage in downtown Melbourne on Friday before he was shot and captured by police. 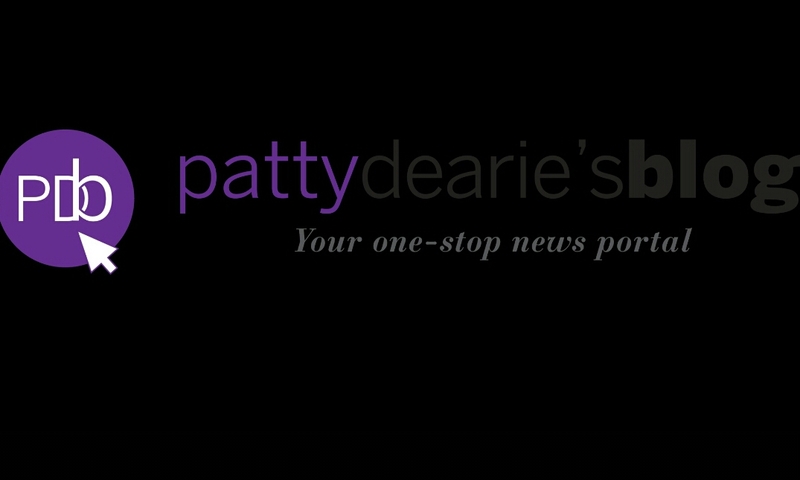 At least two members of the public bravely tried to help police. 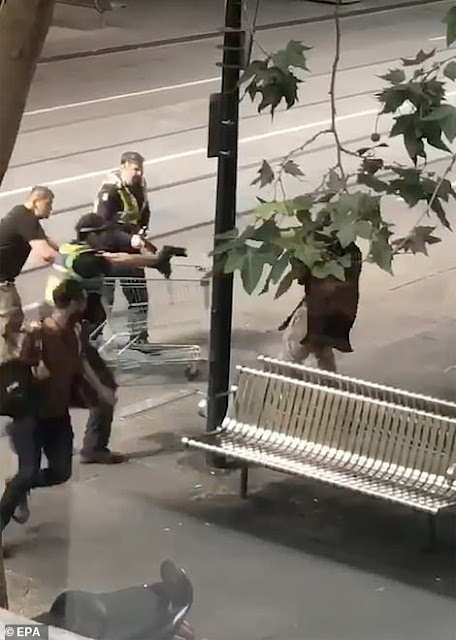 One man was armed with a cafe chair while another — swiftly dubbed an “Aussie hero” on social media — repeatedly tried to ram the suspect with an empty metal shopping cart. 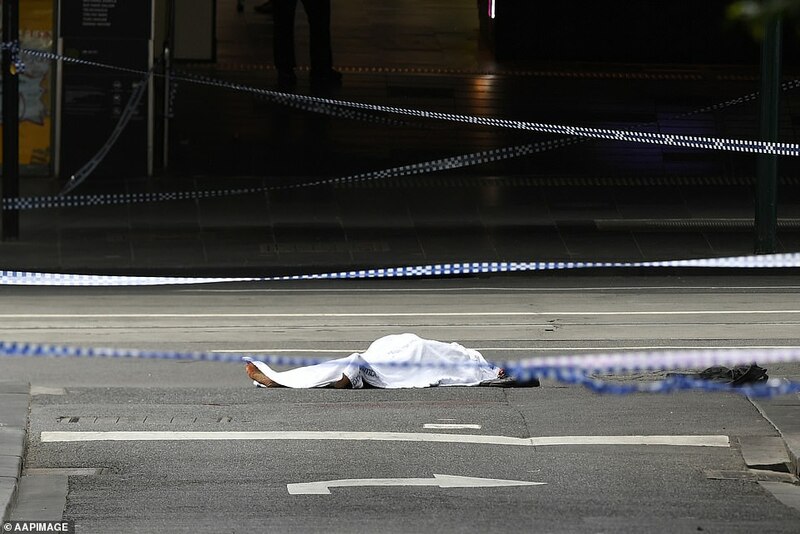 “A man was arrested at the scene and has been taken to hospital under police guard in a critical condition,” police Superintendent David Clayton said. Officers said they “are not looking for anyone further at this early stage”. 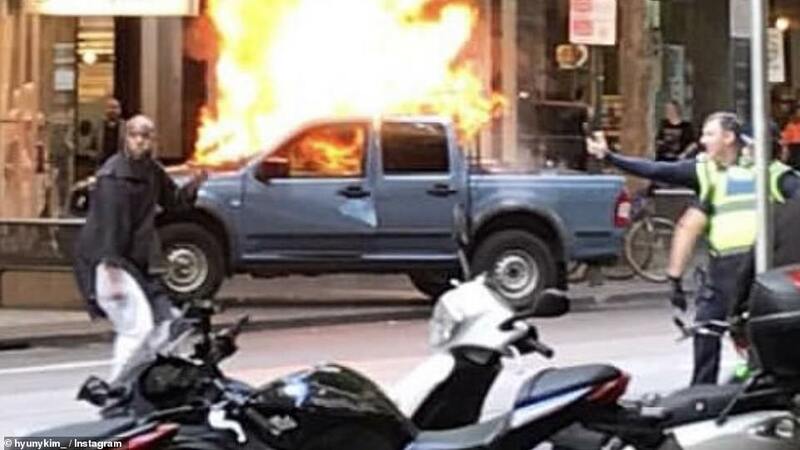 Friday’s attack is a double blow for the city as it coincides with an ongoing the murder trial of 28-year-old James Gargasoulas, who ploughed his car into crowds in the same area in 2017, killing six people.